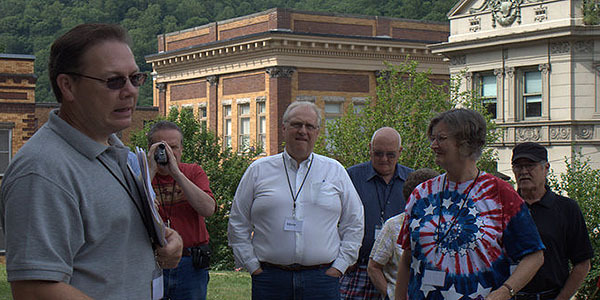 In 2009, Blair Mountain was removed from the National Historic Register, and West Virginia resident Doug Estepp was outraged. The battlefield on the mountain was the site of a landmark uprising of coal miners in 1921, and for a West Virginia history buff like Estepp, the decision to delist the site was an affront to the region’s proud past. Estepp reasoned that tourism centered around the state’s compelling history could be a source of sustainable economic diversification and also help raise awareness of the region’s stories and struggles. After Blair Mountain was delisted, Estepp decided that it was time to make that vision a reality. He formed a small company called Coal Country Tours, and has taken more than 400 visitors on multi-day tours during the past few years. In the current issue of The Appalachian Voice, we share the stories of 27 regional movers and shakers — people and collaborators that, like Estepp, devote their energy and talents to creating positive change. 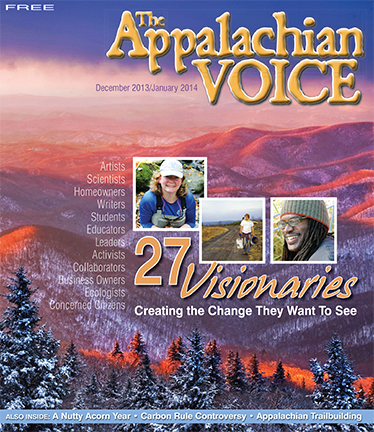 Read the latest issue of The Appalachian Voice here. Whether it’s a North Carolina middle schooler who decides to investigate coal ash pollution, a Virginia businessman working to foster sustainability, or a Tennessee pastor who sees environmental protection as a religious responsibility, these are folks who don’t just see problems. They also see solutions, and commit to making those solutions a reality. Of course, there are hundreds of similarly dedicated people across Appalachia who are working to create a brighter future. Our selection for this issue was limited by page space, but we’re inspired by these stories and intend to make these profiles an ongoing part of each issue of The Appalachian Voice. Do you know a mountain visionary, activist or unsung hero who should be featured in a future issue? Send your suggestions to voice@appvoices.org, or respond here in the comments!